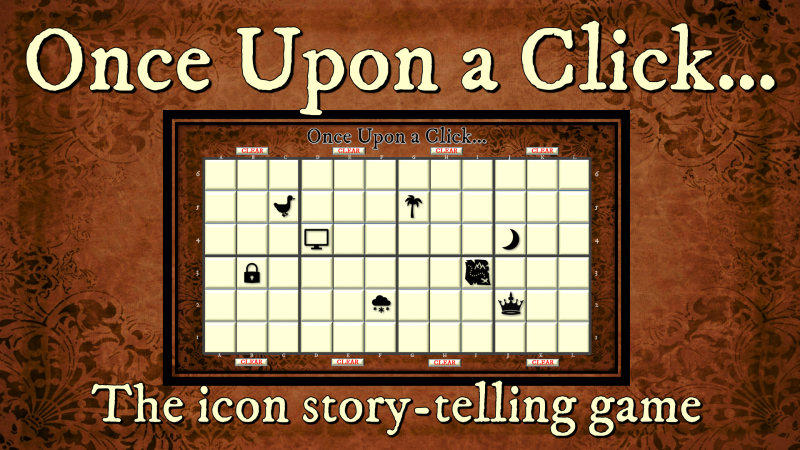 Based on ‘Story Cubes’ this is a game where you reveal a number of icons then make up a story based on the icons revealed. 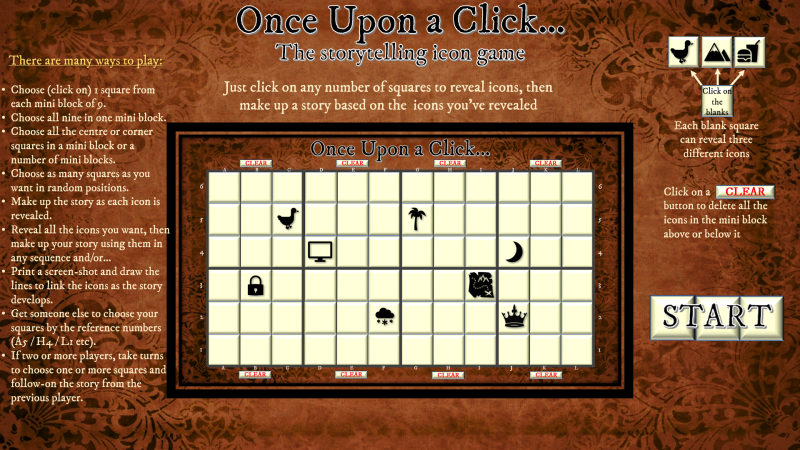 It can be used as a game for one or more players and also as an imaginative / creative thinking activity for groups of all ages. There are many ways that this game can be played. The video gives some ideas, but many more are possible.